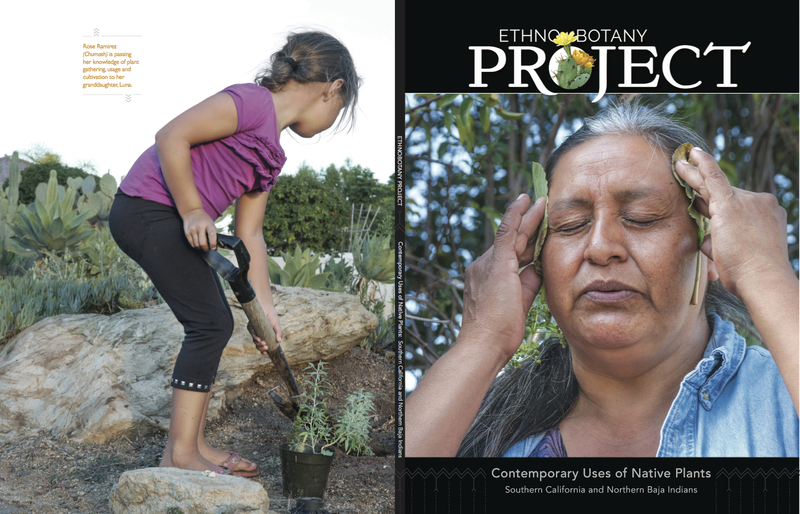 Collaborator Rose Ramirez and I just completed our Ethnobotany Project, a book focusing on the contemporary uses of twelve native plants of profound importance to the intellectual, spiritual, and cultural vitality of Southern California and Northern Baja Indians. 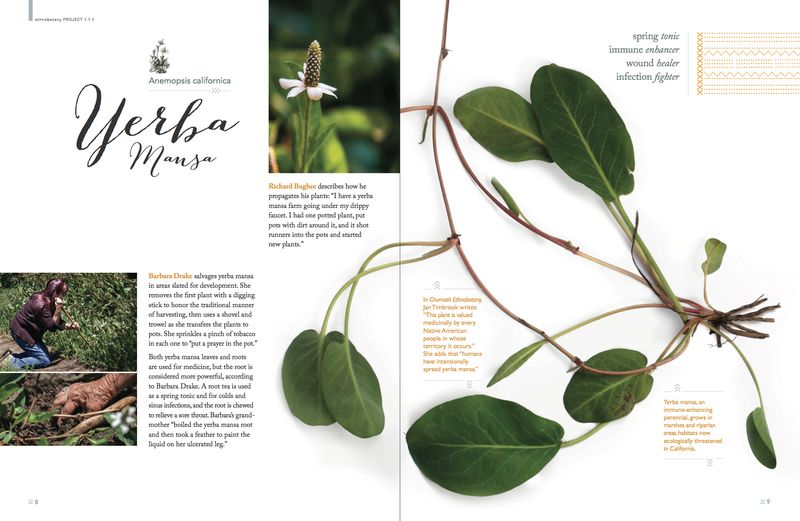 The Ethnobotany Project is available at Blurb, the online publisher. 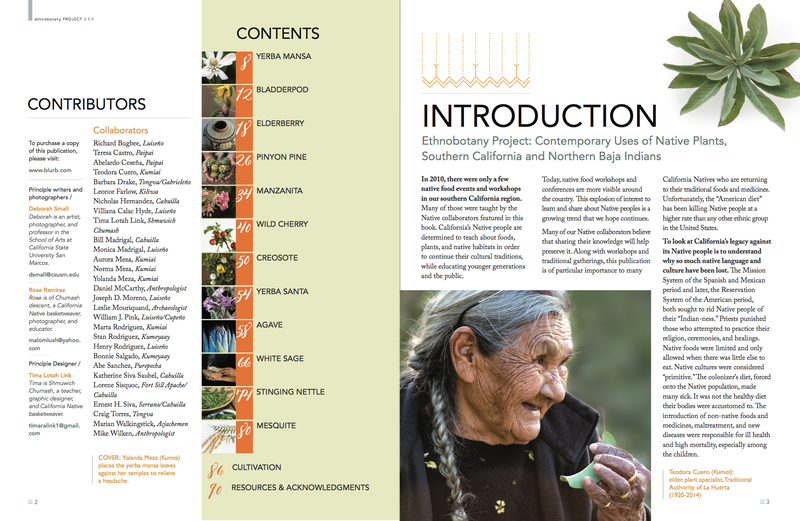 Special thanks to our friend, Tima Link, who designed the Ethnobotany Project, and to all of our contributors. Many of our contributors are repositories of cultural knowledge, eloquent defenders of the land, its sacredness for Indian people, and its importance for all species who inhabit it. In our region, the heart of Native identity lies in the chaparral and sage scrub covered hillsides, oak woodlands, riparian creeks, and desert regions. Many of our contributors are fierce advocates for these diverse ecological communities and the cultural traditions that both shape and are sustained by those communities. People now speak of the necessity for a major shift to a sustainable society from our unsustainable and ultimately destructive way of life. We have the opportunity to learn from people whose ancestors were here for thousands of years, living in sustainable and ecologically viable communities. Our contributors are knowledgeable, wise, and generous. They share what they’re really passionate about: the nutritive, medicinal, and material properties of native plants used as food, medicine, fiber, dye, shelter, and that provide inspiration and ceremony. Rose, Tima and I hope you enjoy the Ethnobotany Project. Hello! I am interested in carrying this book at the bookstore I work at, possibly on consignment? Please contact me — jenn@skylightbooks.com if you’re interested, or perhaps you can put me in touch with your publisher. Thank you! this book looks beautiful what a wonderful project! congrats on finishing it!